Crazy Fish, Solaris. - MisTan IzZy | Travel & Lifestyle. 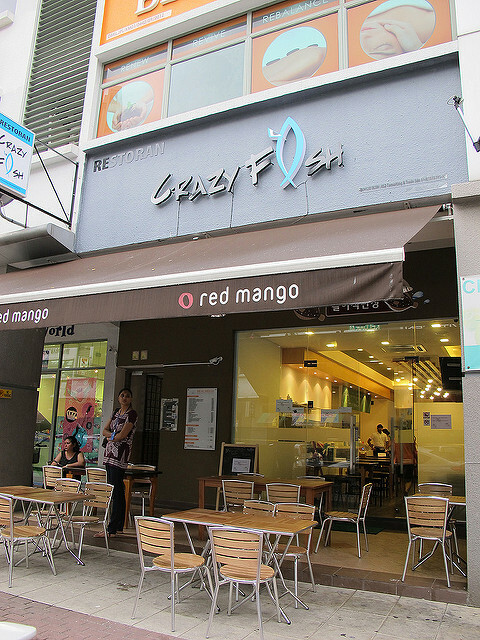 Unfortunately, Crazy Fish has closed down now. 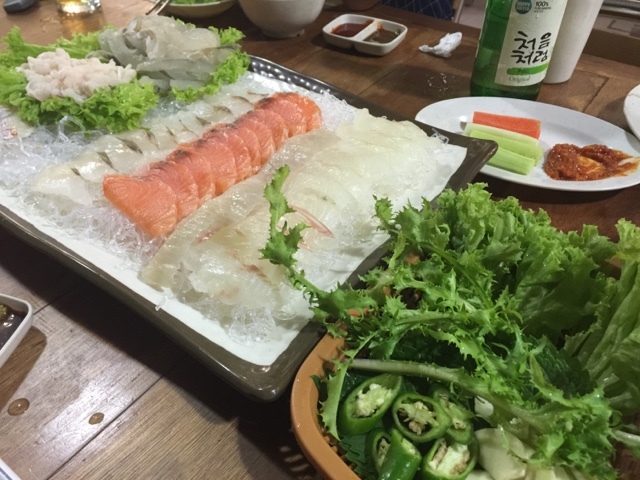 Have you ever tried Live Octopus before in Korea? 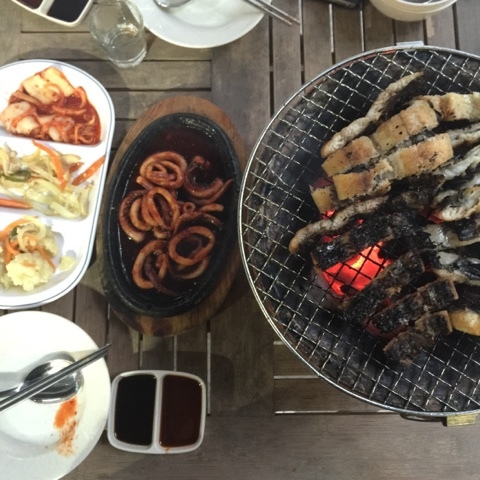 They call it Sannakji or sannakji hoe, a small octopus that cut into pieces while still alive and serve immediately, if you missed out in Korea, now you can try it fresh in Crazy Fish Restaurant located in Solaris Dutamas! 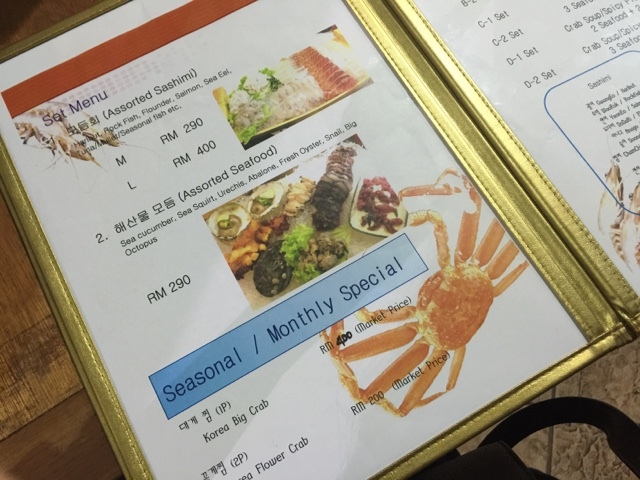 Last year in 2015 the prices were a bit lower, however after the depreciation of MYR against USD, they increase their prices a little because they mainly import all the seafood. I am kind of a huge fan of Sashimi, whenever I went to a Japanese Buffet, I could have only Sashami along the da, one plate after another one, like ...non-stop I mean LOL. Hence, I was introduced to Crazy Fish as I missed out the chance to tried Sannakji when I was in Korea. How to describe the taste of Sannakji, well I would say it is actually kind of tasteless, but it comes with a sauce for you to take along with. I had a real hard time chewing it! Octopus itself was hard to chew if its not well cooked, not to mention, this is totally raw with the suction cups on the arm pieces are still active? I thought I would have enjoy this raw octopus, but when it was served on our table, I stared at it for quite some times before I boost up my courage to pick one and put into my mouth! I've been here a few times, and each time I tried a different food because I follow Korea Variety Shows and Drama a lot, and every time I saw a new food, I can't stop myself from wanting to taste it! They have barbeque Eel as well, however it doesn't taste as good as what I've seen on TV :( Then, I tried their assorted sashami, it was indeed very good and fresh! I have captured some part from the menu for your reference, as the price could be a little pricey. 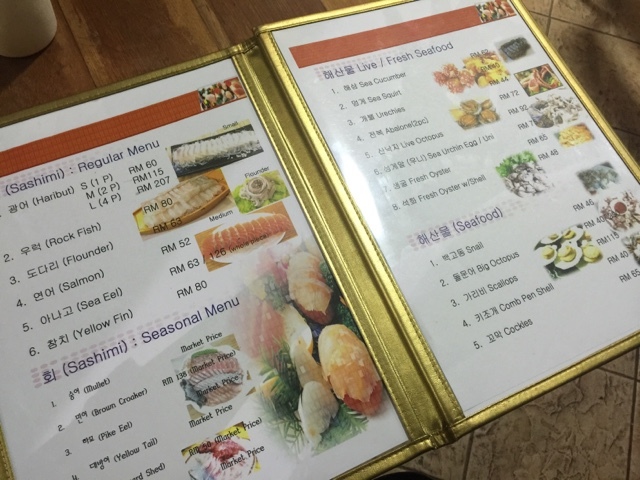 The restaurant mostly filled with Korean expat who craved for fresh seafood, some in the menu are not so famous to local Malaysian though, or I should say we only Salmon and Tuna? LOL. I dare not try this raw food. I am sure it must be popular among some people. always love grilled food since it's draining the oil from the foods!